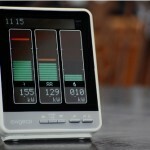 Energy bills could be significantly reduced if UK households were to use a real-time energy monitor, a study has shown. Sixty-five housing association homes in Scotland were fitted with a Ewgeco real-time energy monitor, the performance of which was assessed by a team from Edinburgh Napier University over the course of six months. Results showed that homes that used the device consumed up to 20% less gas than other households which took part in the study. Designed to work with ordinary utility meters to provide households with immediate information regarding their gas, energy and water consumption, the Ewgeco monitor features a traffic-light display of green, amber and red, which highlights real-time low, medium or high energy usage. Of the sixty-five homes that took part in the trial, forty-three of them had the Ewgeco monitor clearly on display – while it was hidden in the remainder of the properties – and researchers discovered that households that could see and use the energy-saving device consumed up to 20% less gas and 7% less electricity compared to the properties that had the monitor hidden. Some 94% of tenants said that the device made them more aware of the energy they were using, while 73% said it made them use less energy. Funded by the Technology Strategy Board, the trial was the first of its kind in the UK involving a real-time energy monitor to track and monitor domestic gas and electricity consumption. “Our findings demonstrate that in-house utility displays can offer a tangible means of energy reduction by enabling behavioural change,” said John Currie, director of the Scottish Energy Centre at Edinburgh Napier University. Mr Currie added that with smart metering technologies to be rolled out into all UK homes by 2020, it is vital that such devices can be linked with easy-to-understand interactive user displays if national energy reduction targets are to be realised – and not just seen as a means of providing energy providers with information.